A donut, also called doughnut, is a kind of fried dough confectionery. Donuts are typically ring shaped with a hole in the middle. Bakers also make oval shaped donuts, which are often filled with custards or fruit preserves. 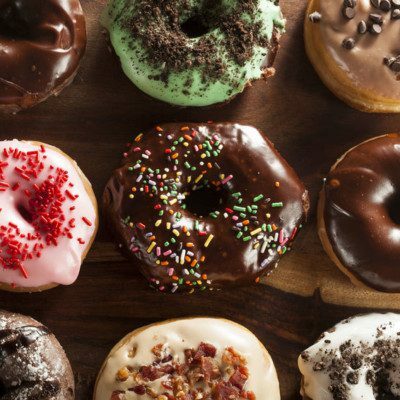 The most popular type of donut is a circular one covered in a plain glaze, but there are numerous variations including powdered sugar, cinnamon sugar, frosting, sprinkles, crumbled cookies, and many more. 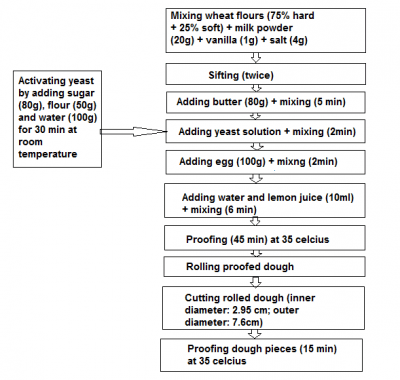 Yeast-raised donuts that use yeast and fermentation to obtain its volume. 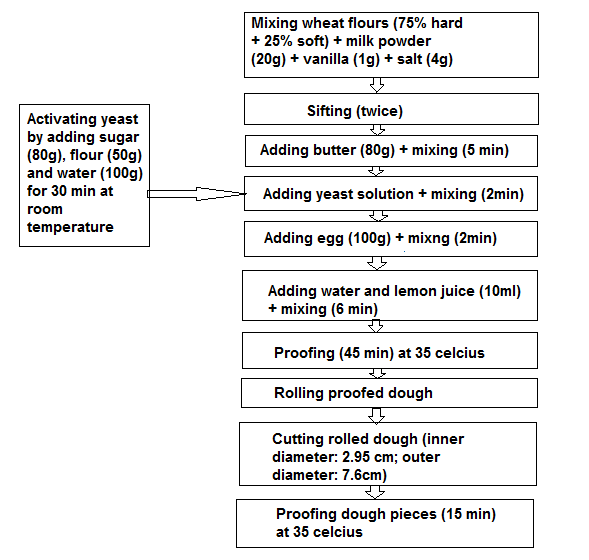 Figure 1 is the schematic for donut dough preparation.2 The dough pieces are then fried in a deep-fat fryer. Frying operation are carried out at 375oF or 190oC. The oil is preheated 1 hour prior to frying to ensure that the oil temperature is stable and constant. Used oil is replaced with fresh oil after four frying batches. Using hydrocolloids as coating is a method for reducing oil uptake in fried products because of their preventive properties. Zolfaghari (2012)2 studied coating donut with methylcellulose (MC) and gum tragacanth (GT) and found that both MC and GT coating are capable to reduce lipid content of fried dough during frying time, while GT coating is more effective than MC coating and coating had no significant effect on moisture content, density and sensory evaluation of fried donuts. Tan, K. J., and G. S. Mittal. “Physicochemical Properties Changes of Donuts During Vacuum Frying.” International Journal of Food Properties 9.1 (2006): 85-98. Zolfaghari, Zahra Sadat, Mohebbat Mohebbi, and Mohammad Hosein Haddad Khodaparast. “Quality Changes Of Donuts As Influenced By Leavening Agent And Hydrocolloid Coatings.”Journal of Food Processing and Preservation 37.1 (2012): 34-45. Mellema, M. “Mechanism and Reduction of Fat Uptake in Deep-fat Fried Foods.” Trends in Food Science & Technology 14.9 (2003): 364-73.